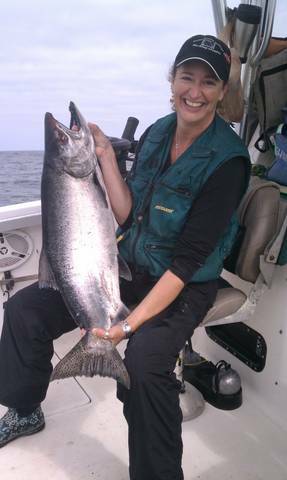 Stacey King is all smiles holding her largest caught Chinook. This beauty was caught out of Westport on August 12th aboard the Fishnut. The lure of the day was a Cookies & Cream Tailwagger with a blue mini hootchie! Nice Fish Stacey!